A student recently asked me to explain seventh chords, which are kind of dicey. There are lots of them, and the pop chord symbols aren't entirely consistent. (Music theory should be consistent?) 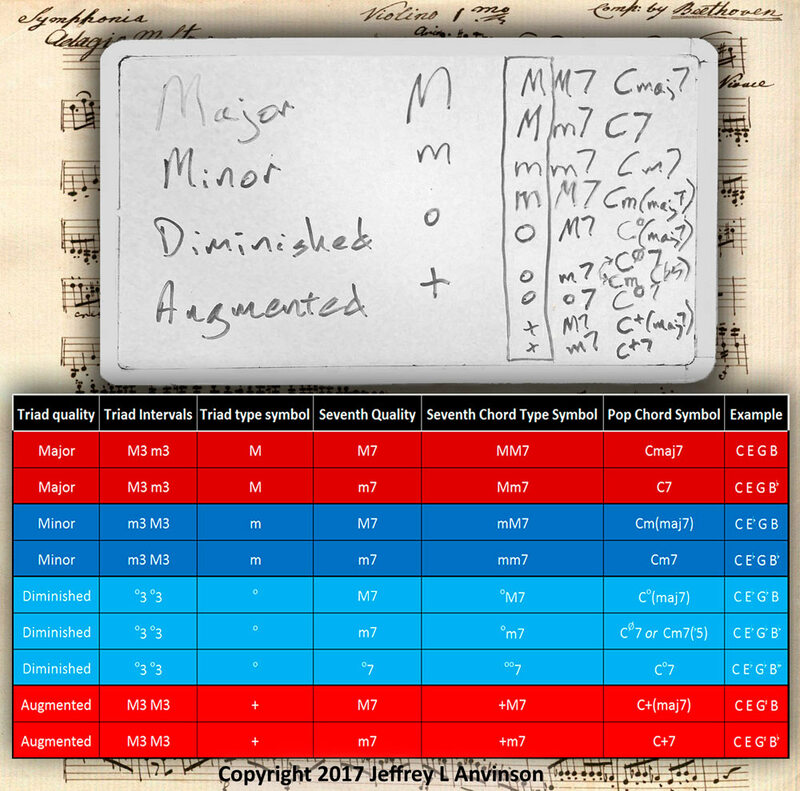 I'll leave the detailed explanations for another article, but the chart below might serve as a review to those who went to music school. You'll notice that, against a backdrop of a violin part for one of Beethoven's symphonies in his handwriting (I assume), my chicken scratch on a dry erase board is followed by a nice neat table. Happy seventh-chording!